The balance bike vs training wheels debate is booming. Here you can learn all the facts. Training wheels and tricycles teach children how to NOT ride a bike because they aren’t built to ride like a normal bicycle. 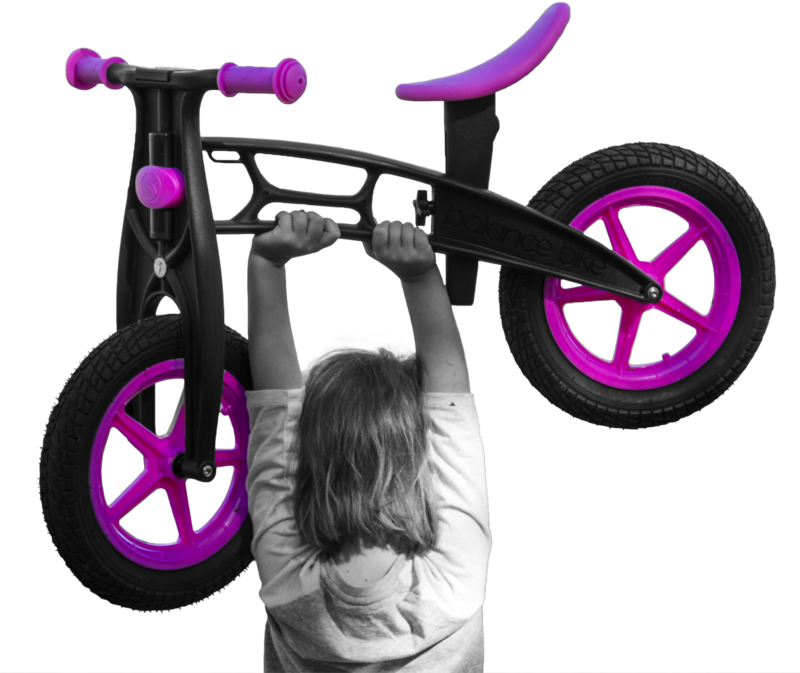 These bikes “pre-balanced” meaning a child will still have to learn how to balance after transitioning to a regular bike. These bikes ignore the most important part of riding – balance. Training wheels and tricycles are hard to ride a long distance, because they can easily get caught on gravel or rough surfaces, and they lose their balance easily. A good majority of people reading this right now probably learned to ride using training wheels or a tricycle. Think back on those memories, practicing for hours and when you were ready to try out a pedal bike…WHAM. Right into the concrete. Mom and Dad were always there to help out. A few bumps and bruises, then right back at it. Falling is inevitable if a child doesn’t understand how to balance. Without learning this skill, kids will struggle for longer than if they had used a bike that required them to practice balance. Learning how to pedal will come naturally after using a Balance Bike. Why are Balance Bikes Better? 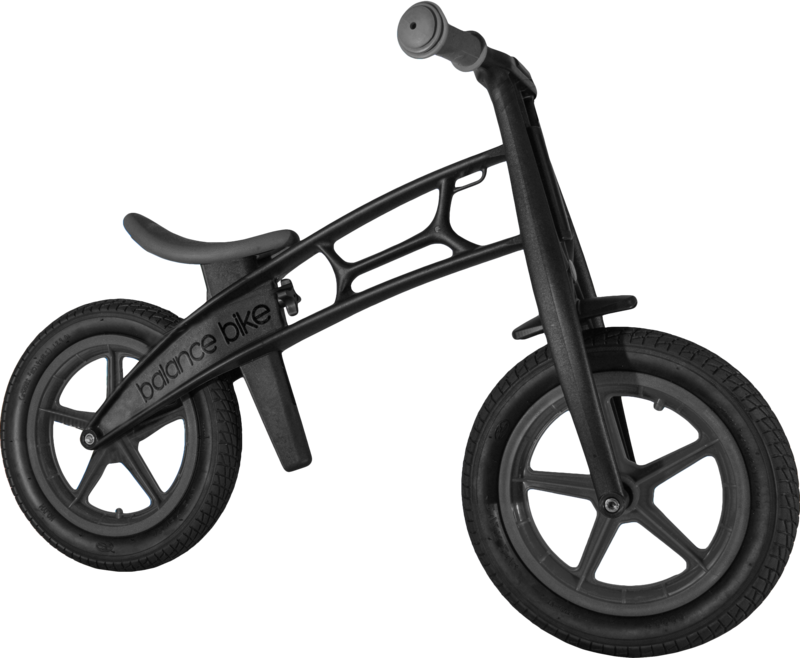 Created by Zompers, a Balance Bike looks and rides exactly like a normal bike AND provides a safer riding experience. After trying to ride a bicycle as a kid and failing horribly, I think we can all agree that the hardest part of bike training, not pedaling. With a Balance Bike, kids use their feet to propel forward. As they become more confident, they lift their feet and simultaneously practice balance and steering. If they ever lose balance, they can simply just drop their feet back on the ground. According to Livestrong.com, Karl Drais of Germany created the first bike in 1817. Believe it or not, it didn’t have pedals! It simply had two wheels and handlebars. Although that may not be a practical way for full grown adults to ride in 2017, it’s the only way children should be learning to ride. They had the right idea, just not the right target. Obviously, with time comes improvement and the run bike has transformed into the best first bike for kids. 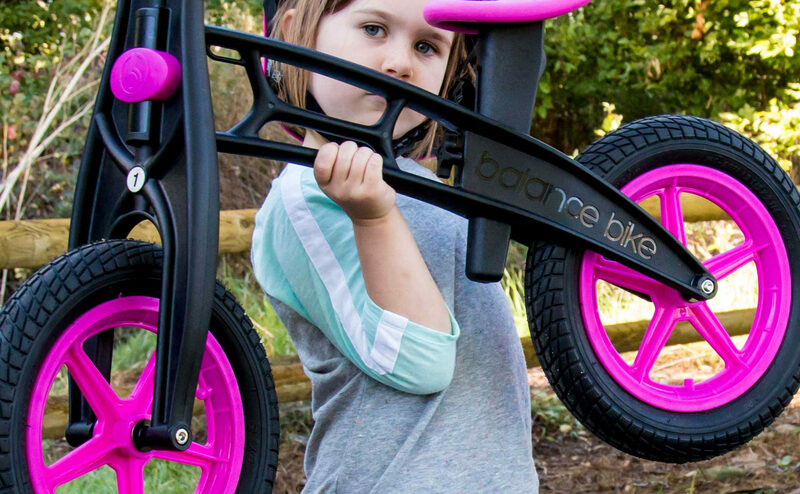 Balance Bikes are are better than training wheels because they teach the most important skill of riding a bike – balance. Balance Bikes allow kids can learn at a pace that works for them. They are safe, fun, and the best way for any child to learn how to ride. Mariah explains all the benefits of a Balance Bike in this video. There are tons of kids bikes available for your child at Balance Bike. We offer both plastic and metal options with 6 different colors to choose from! 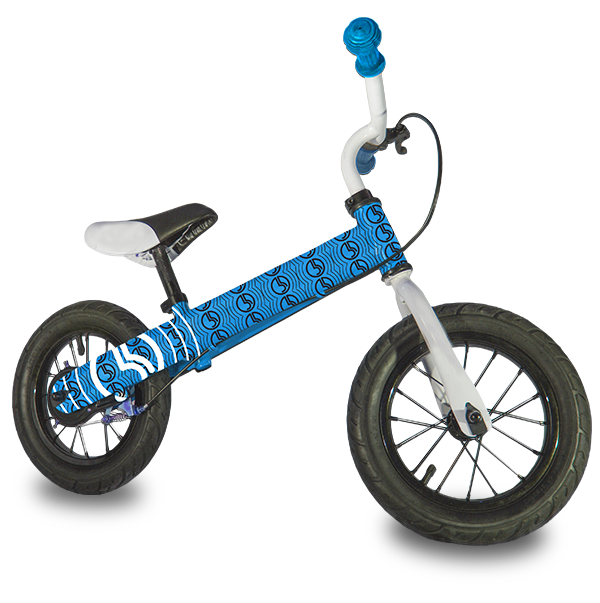 Balance Bikes can be purchased easily through the online balance bike shop, or at select retail and grocery stores. They make great gifts for the holidays and are perfect for any child that want to learn how to ride a bike. 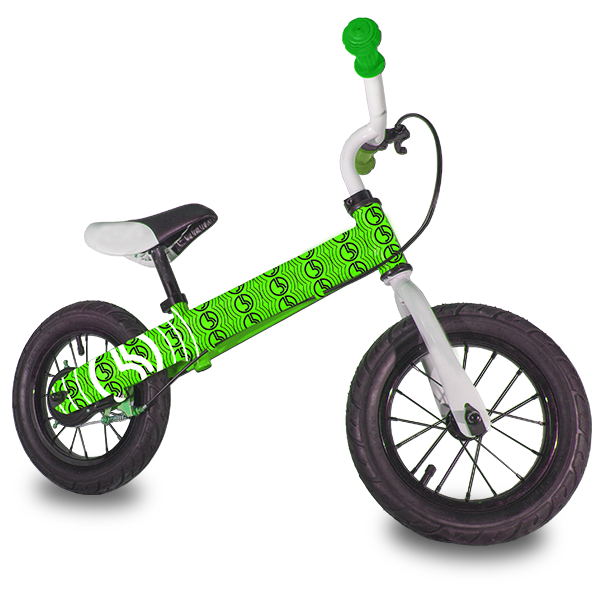 Both metal and plastic Balance Bikes are made for children ages three and up, are 12″ tall and have 30 psi. They are equipped with adjustable height rubber seats, inflatable rubber tires and soft rubber handles. There are a few differences in the models such as weight, price, and additional features. Metal Balance Bikes sell for a price of $69.99 and and are made with heavy-duty metal. They are available in two blue designs, pink, green, white and black. The metal bike weighs 12 lbs. and rear-end hand brakes. Plastic Balance Bikes sell for $59.99 has a handle for easy transportation is made using highly durable lightweight plastic and weighs only 6 lbs. It is also waterproof and comes in six colors including blue, black, pink, purple, green and red. Once you’ve purchased a Balance Bike, the fun can begin! From the ages of three to five, most children are mentally and physically ready to start learning how to ride. Since every child learns differently, it is important as a parent to let them take each step at a pace that they are comfortable with. One child may sit down and begin running right off the bat while another may need to practice standing and walking with their Balance Bike. Patience is key while helping your child learn how to ride a Balance Bike. It’s important to be a part of the process, praise them for riding, and encourage them to progress when they are ready. With Balance Bike, the transition from training bike to bicycle is easy and fun for parents and kids. Plus, the bike rides can be endless! So when it’s time to buy your child’s first bike, choose Balance Bike. They are safe, fun, and the best way to teach kids how to ride. To learn more and stay updated, give us a follow on Twitter and Instagram and “Like” our Facebook Page!